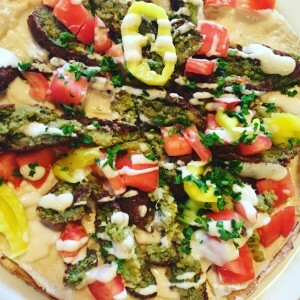 When I went to visit one of my close friends who recently relocated from Columbus to Charleston, WV, I wasn’t sure what to expect out of the food scene in her new city. 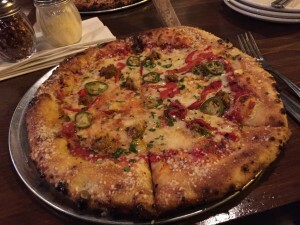 But, knowing she was a was fellow food aficionado, I was positive I was in good hands when she signed us up for one of the inaugural Mountain State Food Tours of downtown Charleston. The fledgling business has a leg up with Michael and Maria Young at the helm, since Maria is a features editor for the Charleston Gazette-Mail. 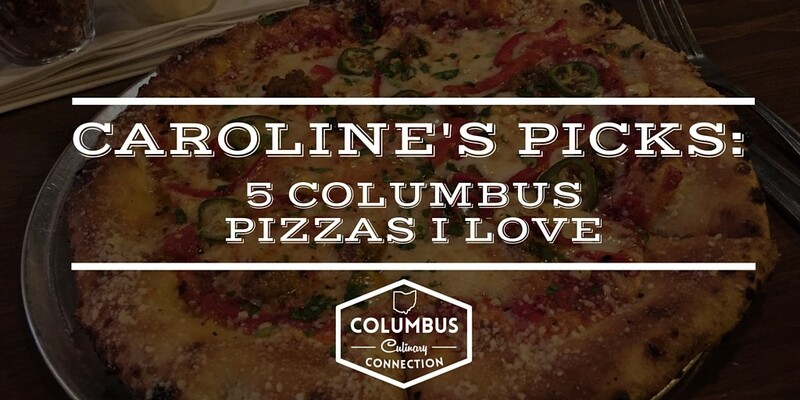 The Youngs’ goal is to create a culture of food and drink tours just like those we are fortunate enough to have here in Cbus with Columbus Food Adventures and Columbus Brew Adventures. 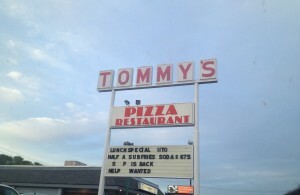 We embarked on our tour with an empty stomach, but we certainly didn’t go home hungry. The food sample sizes were generous, and we also received drink pairings at each stop so our guides could test out the potential addition of an alcohol aspect to the tour offerings – lucky us! As we roamed the streets, Michael gave us some history tidbits about the landmarks we were passing on our walk. 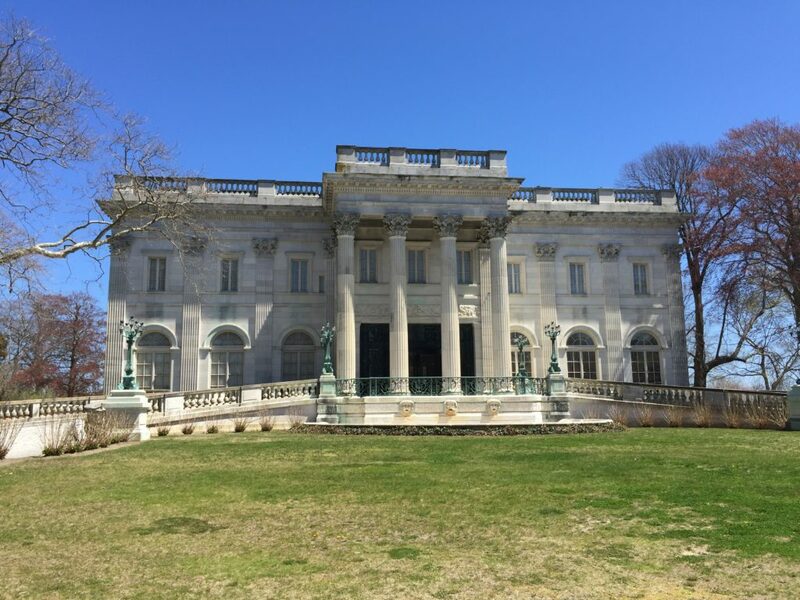 There were tales of fire and destruction, wealthy salt barons, underground speakeasies, and secret art pieces, all sprinkled into the narrative mix. But naturally, the most important part was the grub, so let’s get to that! 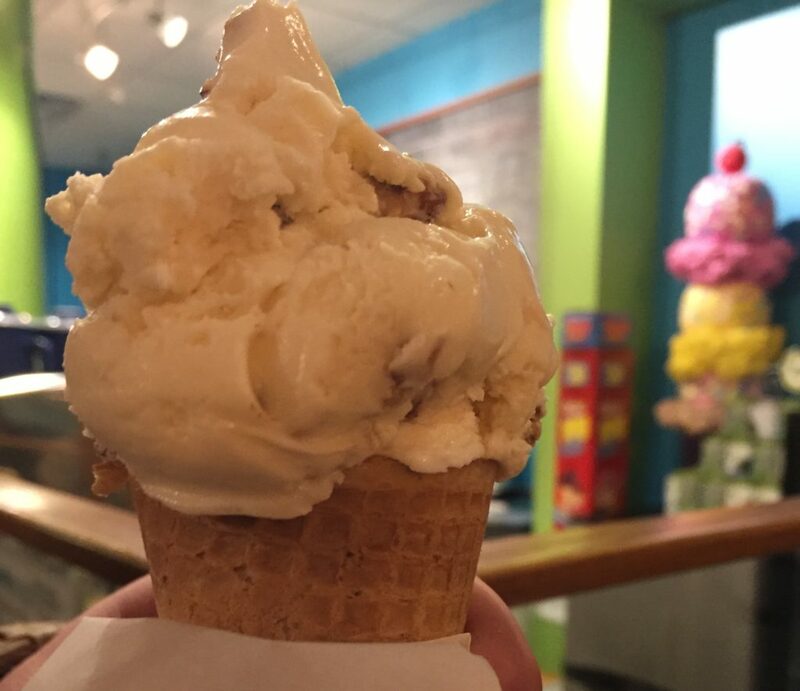 Ellen’s Ice Cream: A scoop of ice cream in the flavor of your choosing – I went for amaretto gelato! 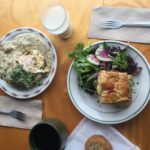 Next time you need a foodie getaway that is a short drive from Columbus, don’t overlook Charleston and Mountain State Food Tours! We loved each stop, as well as the entertaining and bubbly guides. Some other Charleston dining highlights I enjoyed while in town: a wine flight at The Block, Capitol Market where I bought all the cheese in sight, and a Maple Pancake Latte at Starlings Coffee & Provisions. 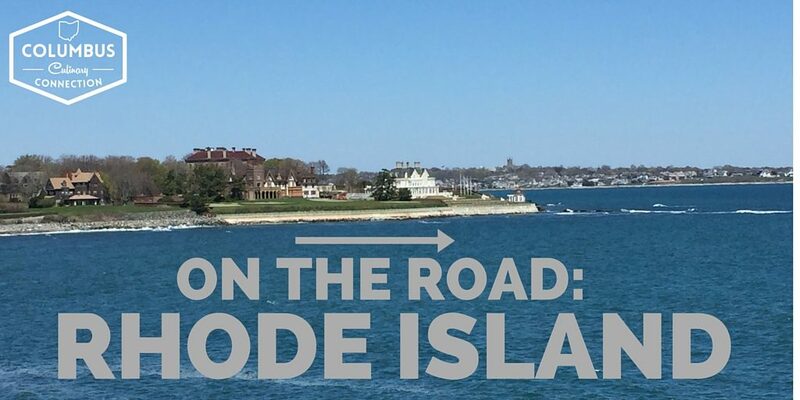 Road-trippin’ is one of my favorite ways to discover new culinary destinations, so I was eager to head to Rhode Island to visit my best friend who now lives there. 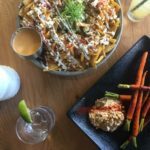 America’s smallest state is not lacking in dining options, and we indulged in some fabulous food, with my friend as my knowledgeable tour guide. 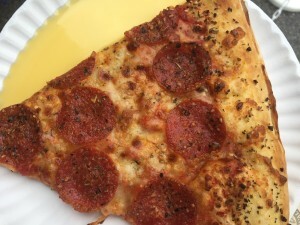 A couple of fun finds that Ohioans may not be familiar with include Autocrat coffee syrup (a tasty treat mixed with milk to make “coffee milk”) and uncovering a new love of pepperoni and broccoli pizza – don’t knock it ’til you try it! 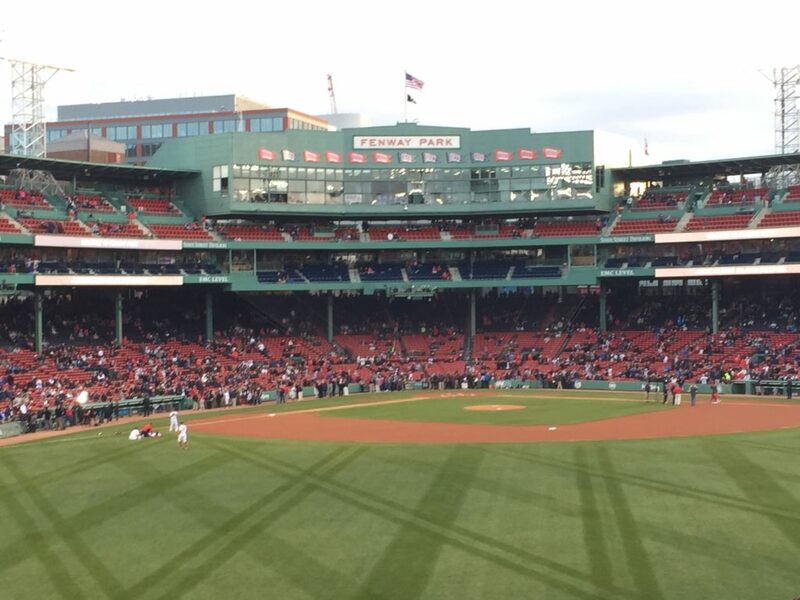 Because we were so close to Boston, we had to check out Fenway Park while the Yankees played the Red Sox. It was a little chilly, but the atmosphere at the game was electric, and hey, they don’t offer clam chowder at Clippers games! 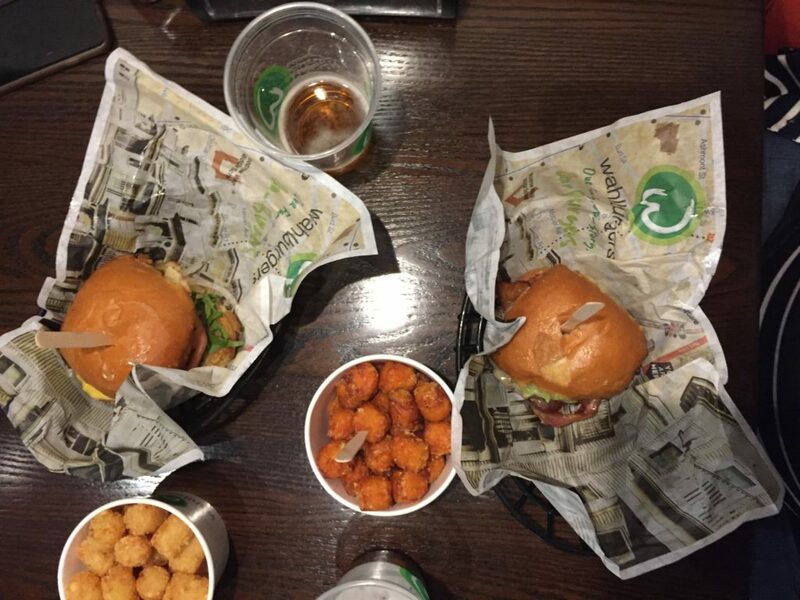 If you watch A&E, you may be familiar with our dinner spot Wahlburgers, (https://www.wahlburgersrestaurant.com/) a burger bar owed by the Wahlbergs of acting fame. No Marky Mark sightings, but I was mollified by a savory bacon and avocado burger and a Frosty-esque chocolate frappe. 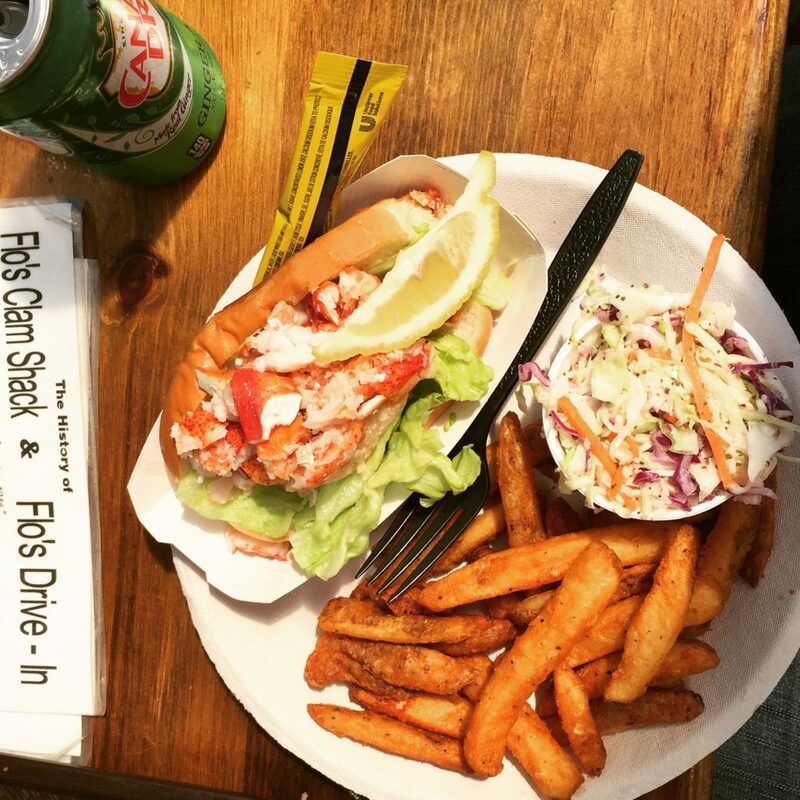 The bottom line: the Northeast really isn’t that far of a drive from Columbus, and has some foodie gems! 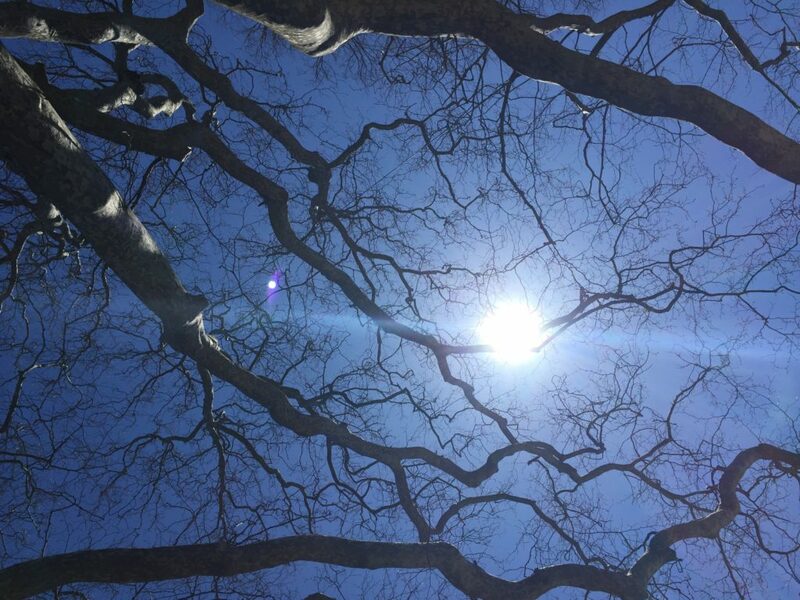 Below, find some shots of my quick getaway to Rhode Island! 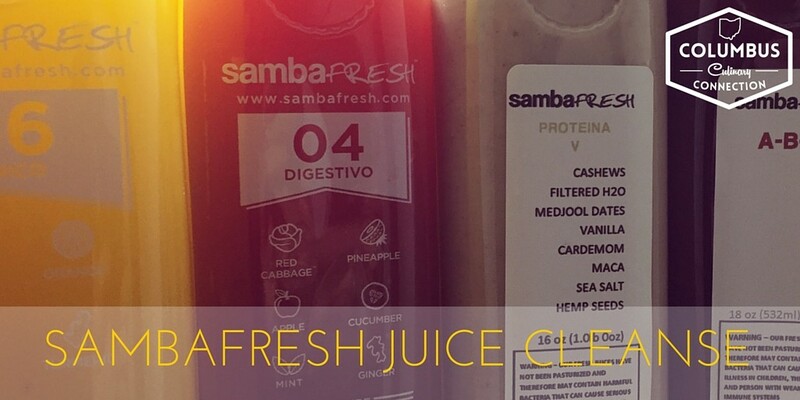 For the new year, I buckled down and did a juice cleanse with sambaFRESH juices…and I am finally getting around to writing about it. 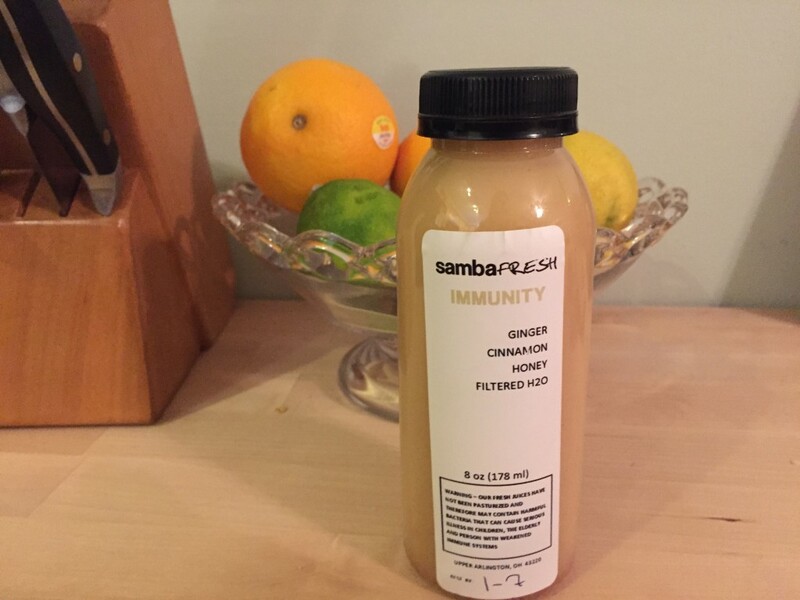 I love juice and had been wanting to see if I could actually follow through and do a multi-day cleanse. The answer, surprisingly, was yes! My husband was out of town for a work trip and so it seemed like the perfect time – he is a total food enabler and I always end up wanting to bake when he is around. For my needs, I went with the workplace cleanse so I had 4 juices during the day with a light salad at night. 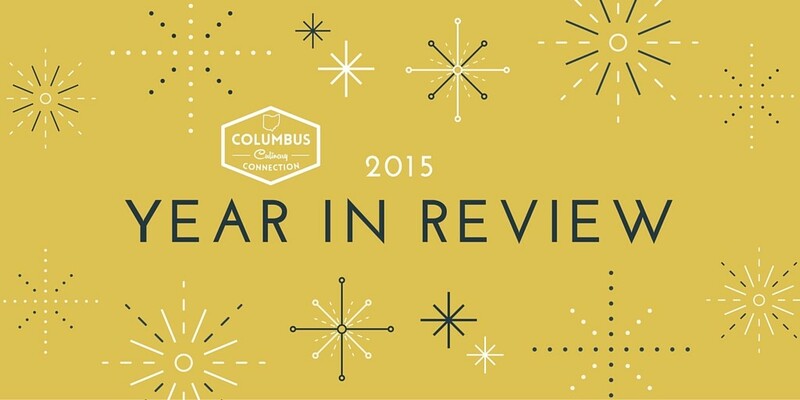 The New Albany location was the most convenient for me, and the staff there was super awesome. They explained how everything worked in great detail (a relief for a first-time cleanser like myself) and labeled the order to drink each juice for me. I also had a horrible sinus infection, and sambaFRESH hooked me up with some immunity booster shots with lemon, honey, and ginger to help clear up my cold! When I headed home with my juices, I started to worry since I enjoy fruits, but some of the bottles were really green (read: would they taste like veggies I hate?). Many of the juices were available to sample before purchase, but there was no way to try them all, plus I wanted to follow the recommended plan. Also, I was nervous about being starving during the three day stretch – I don’t do hangry well. Once I started though, I have to say if you keep busy during the day and drink your juices on time, you won’t be hungry. You might miss the process and routine of eating, but you should not be ravenous. My favorite juice was the first one of the day: G.L.O. (grapefruit, lemon, orange). I could kick off each morning with a G.L.O. juice, seriously. It was bright, citrusy, and refreshing. 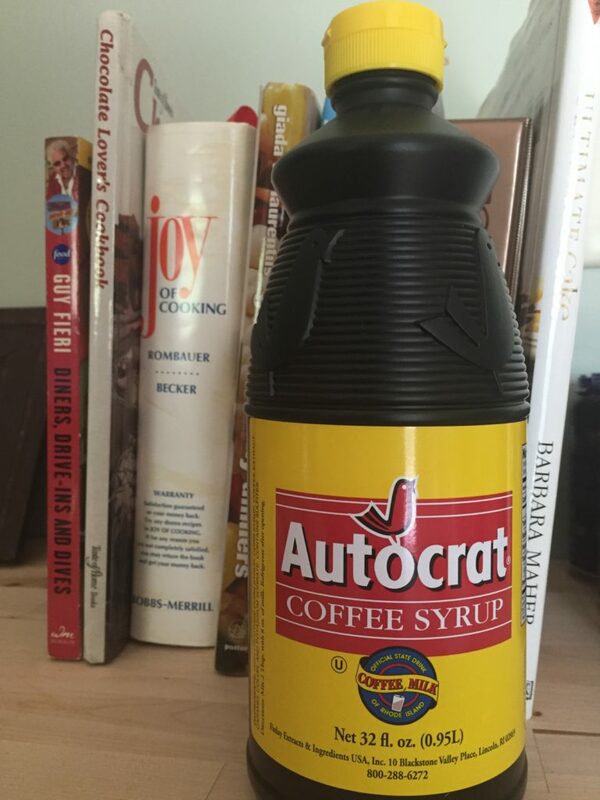 I am not addicted to morning coffee, so I didn’t miss the caffeine, but this juice helped perk me up. The other flavors I looked forward to were A.B.C. 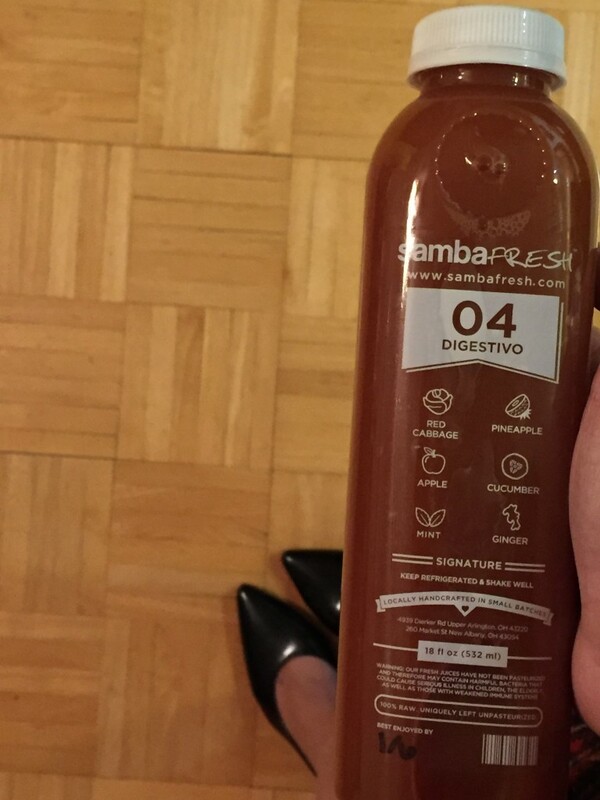 (apple, beet, and carrot) and the dessert-like vanilla Proteina (cashews, filtered water, cinnamon, maca, medjool dates, vanilla). I even liked the Rio, which had me nervous since cucumber is the bane of my existence. The pear and lemon must have helped hide the evil cucumber just enough! The only juice I didn’t care for was the Detox, I think because of the fennel. I actually ended up having a Tonico (tumeric, orange, lemon, filtered water, pineapple) left after the three days because I wasn’t hungry for it, so I drank it the next day for breakfast. Win! Could I cleanse all the time? No. I am too obsessed with eating pizza. However, I am looking forward to incorporating more juices into my diet, and I would definitely try another cleanse. It is a good way to hold yourself accountable and hit the reset button when you are feeling a little sluggish. 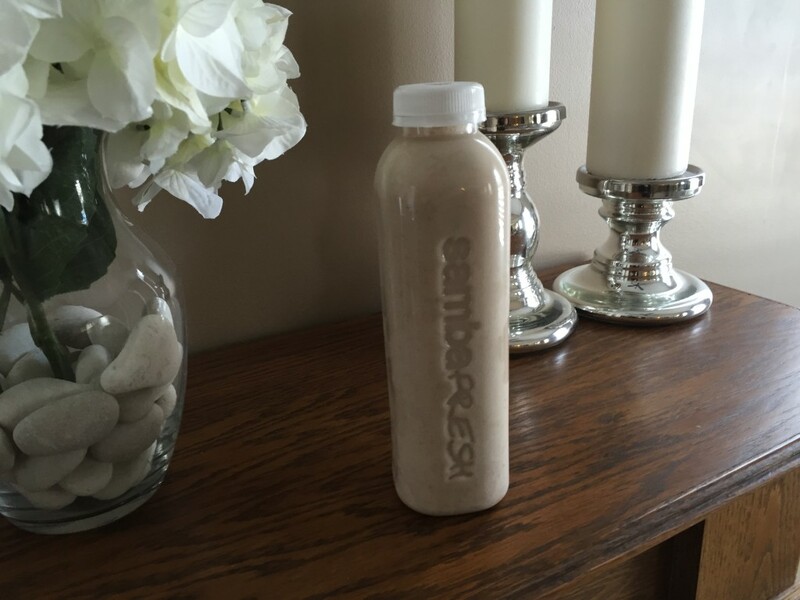 Have questions about doing a juice cleanse? Shoot me an email or contact me on social media to chat! I’d love to hear more about your juice experiences too. 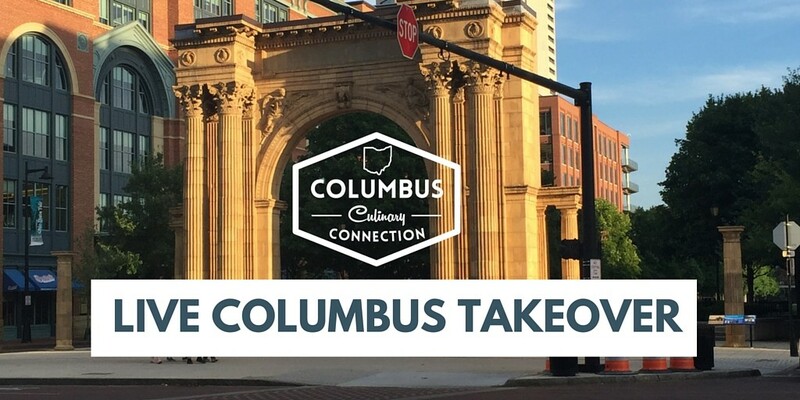 I finally got around to doing a Live Columbus Instagram takeover! 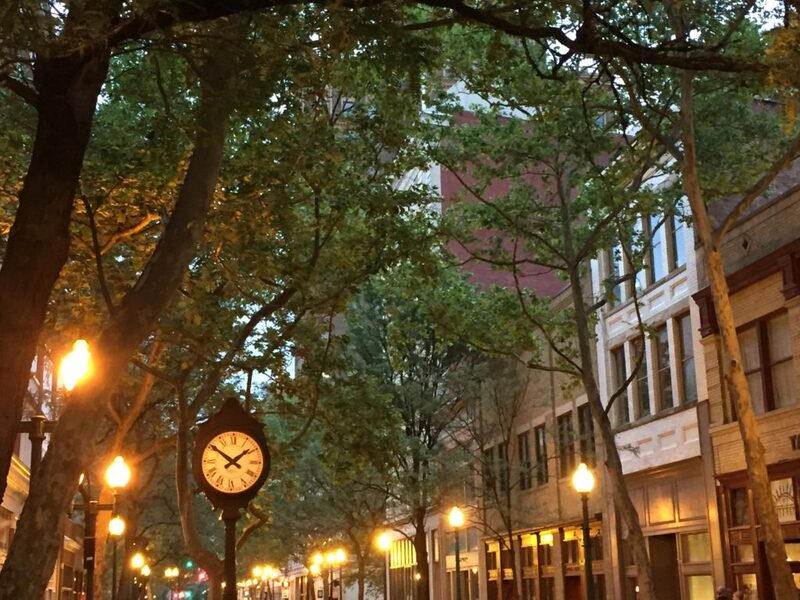 This account (@livecolumbus) gives anyone who wants it a chance to show how they “live Columbus,” taking followers around town and giving a glimpse into their ideal day in the capital city. If you aren’t familiar with Andrea Archibald, the originator of the account, check out her personal feed at @andrealivescbus. She’s the owner of the Simply Vague stores at Polaris and Tuttle malls, and lends her support to many local vendors. Doing an Instagram takeover is also a great way to get new eyes on your business, as the account has over 20,000 followers, so people who might not have discovered your brand can find you. 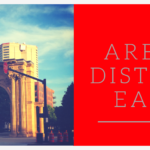 It is interesting to see the different perspectives on Columbus living. 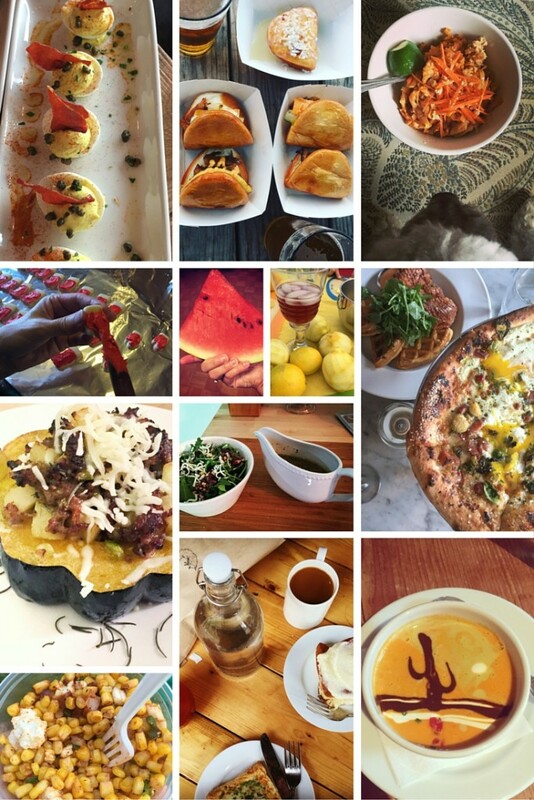 I’ve seen restaurants do a behind-the-scenes look at their kitchens, yoga studios show you crazy poses at iconic locations, moms take followers on a tour of kid-friendly spots, or charities, photographers, and even a flower farm take the helm to put their spin on the account. 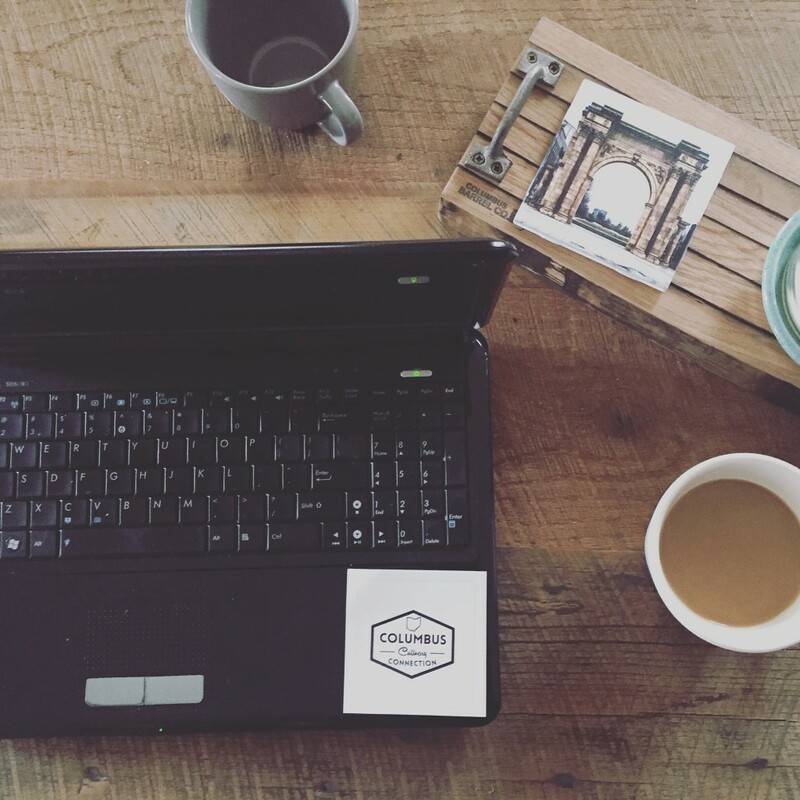 I kicked off the morning with a cup of Sticky Toffee Caramel coffee from Crimson Cup Coffee and uploading a blog post about my favorite bacon dishes in Columbus. 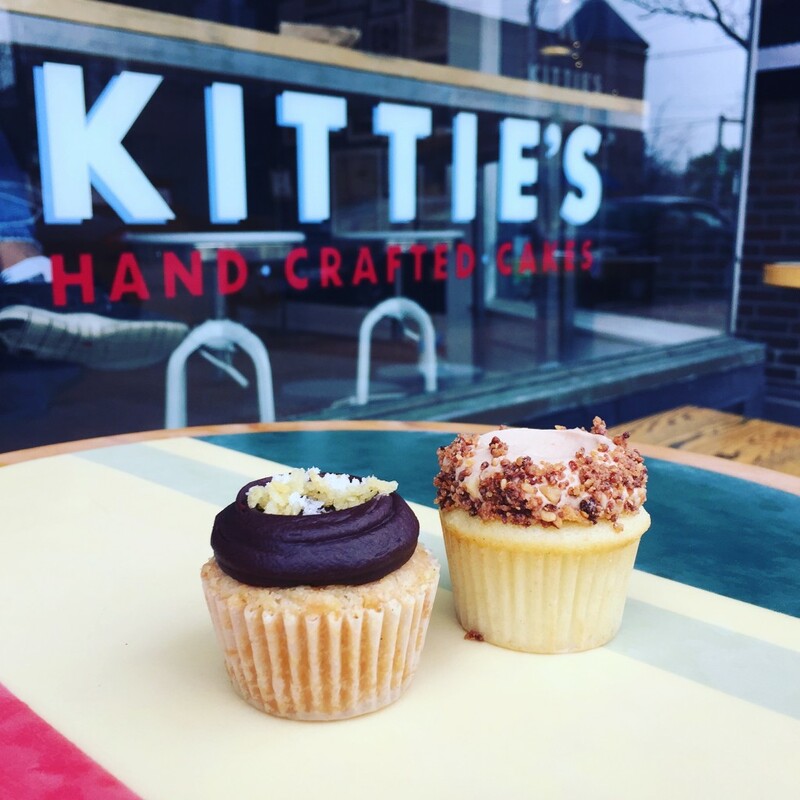 The first stop on my tour brought me to Kittie’s Cakes to pick up some desserts for later. Read all about Kittie’s in this blog post. 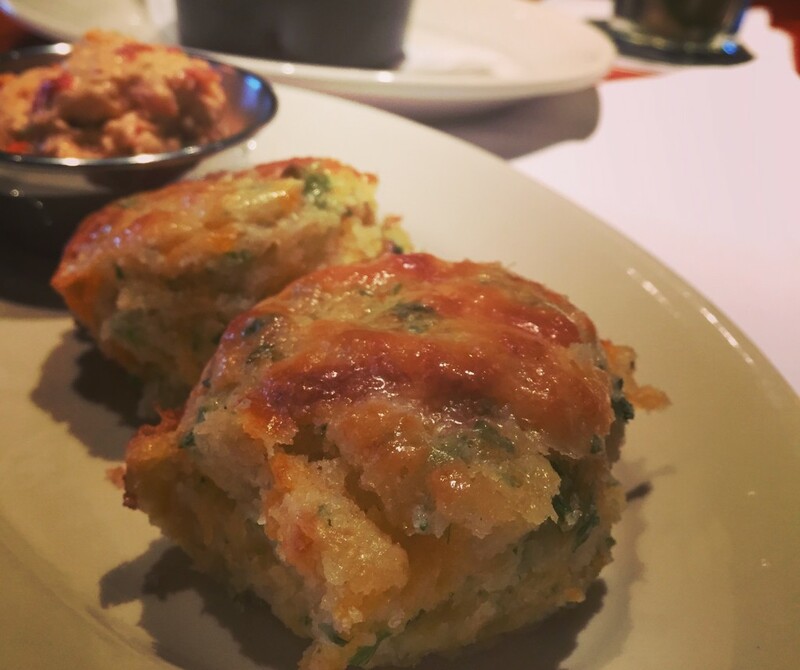 After picking up some dessert treats, I headed to one of my favorite neighborhoods Grandview Heights and ate these delicious pimento cheese and garlic butter biscuits from Third and Hollywood. 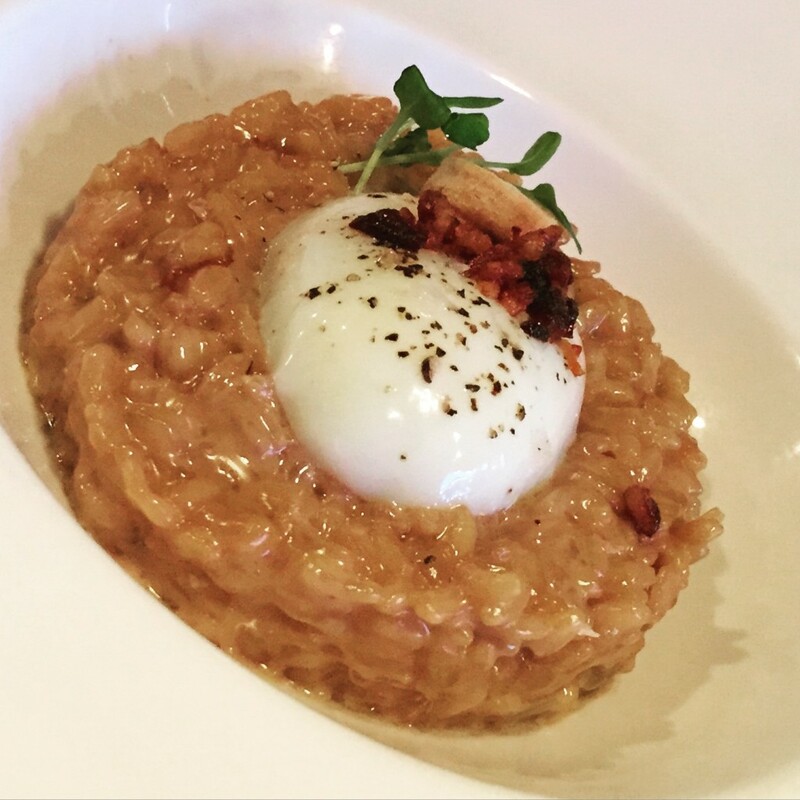 Click here to read all about brunch at Third and Hollywood. 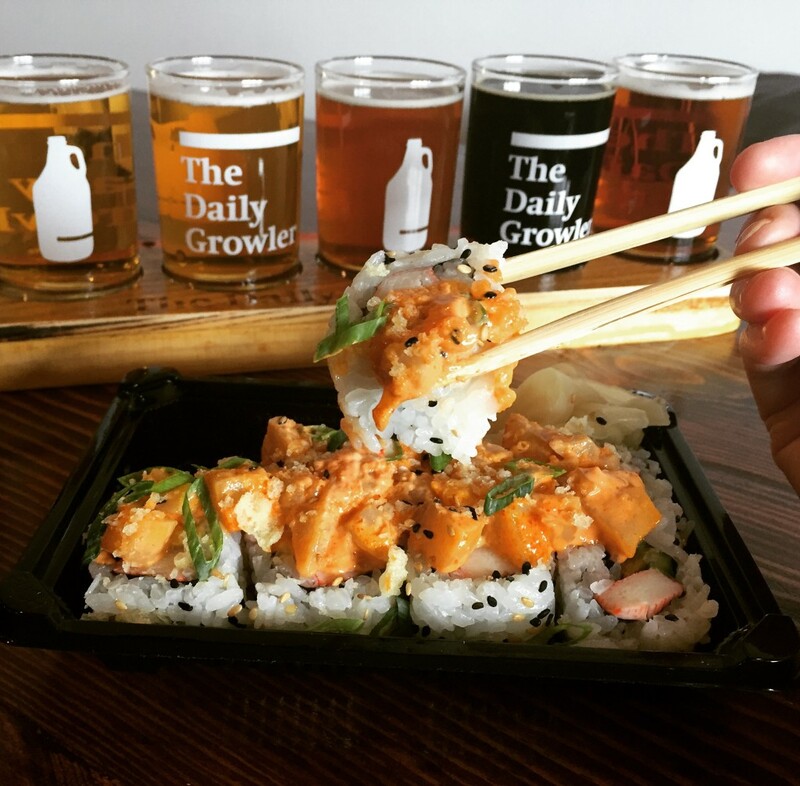 For a quick lunch I enjoyed two of my favorites: a beer flight from The Daily Growler + the spicy scallop King Kong roll at Hudson 29. 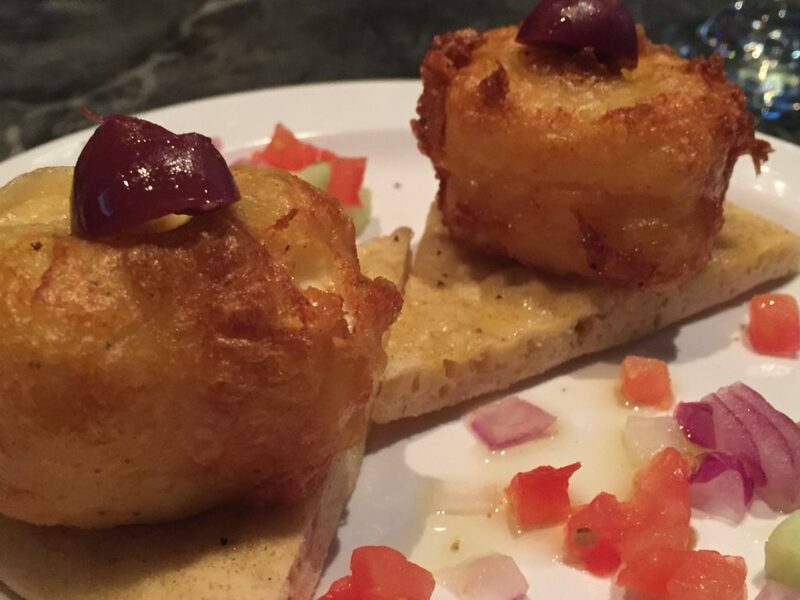 Clintonville is another great dining destination, and one item I can’t get enough of is the honey goat cheese balls from Crest Gastropub. Served up with Brother’s Drake Apple Pie mead, I couldn’t think of a better Sunday happy hour treat! I started winding down the day with a stop at Rockmill Brewery. It’s a perfect spot for a Sunday Funday picnic with beautiful views and wonderful brews. 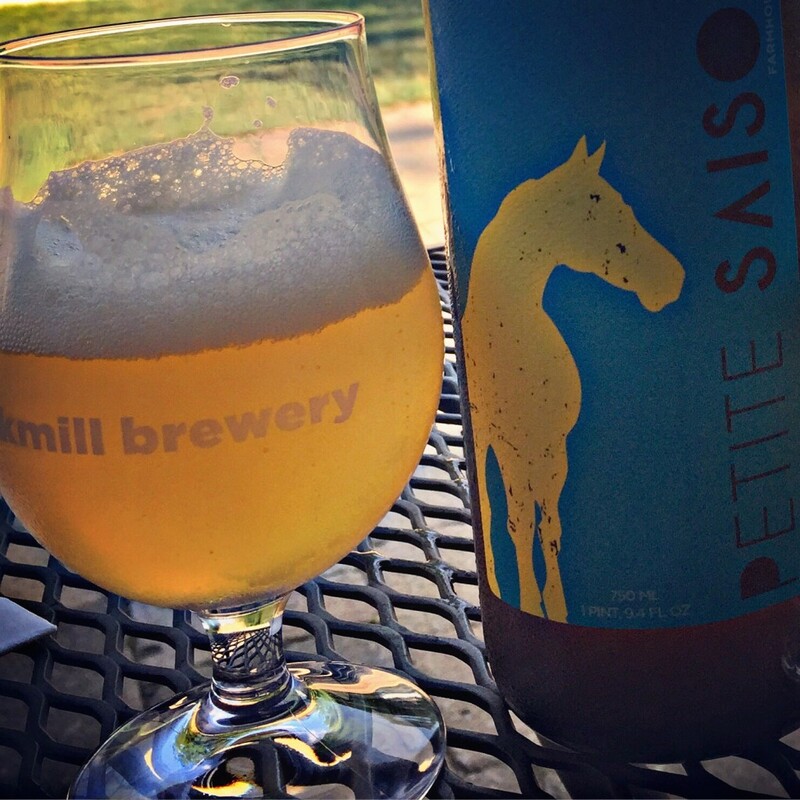 You can read all about Rockmill Brewery by going here. 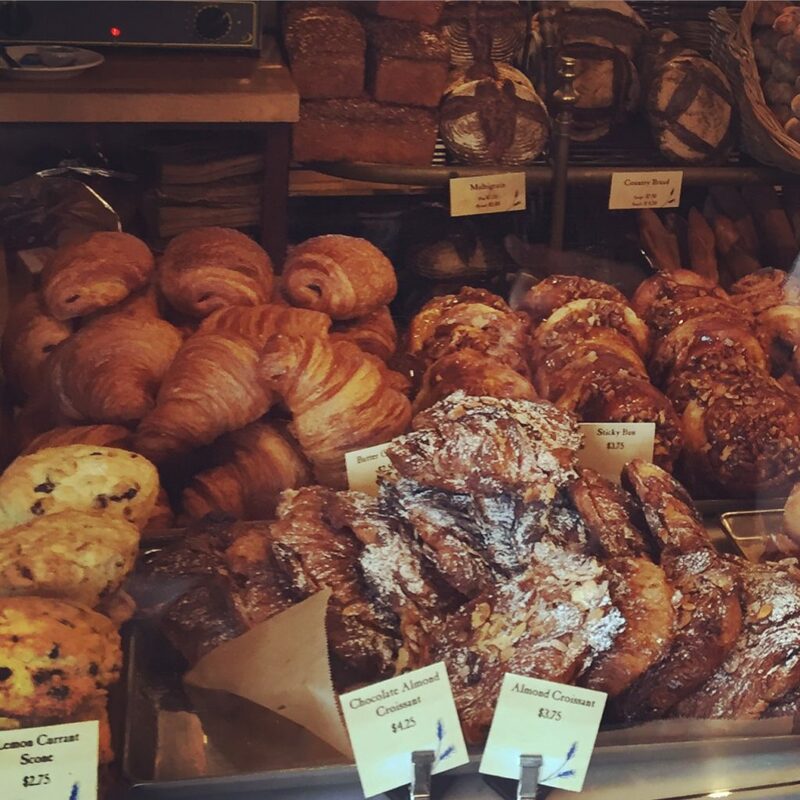 I love dining out, but my first love is baking. 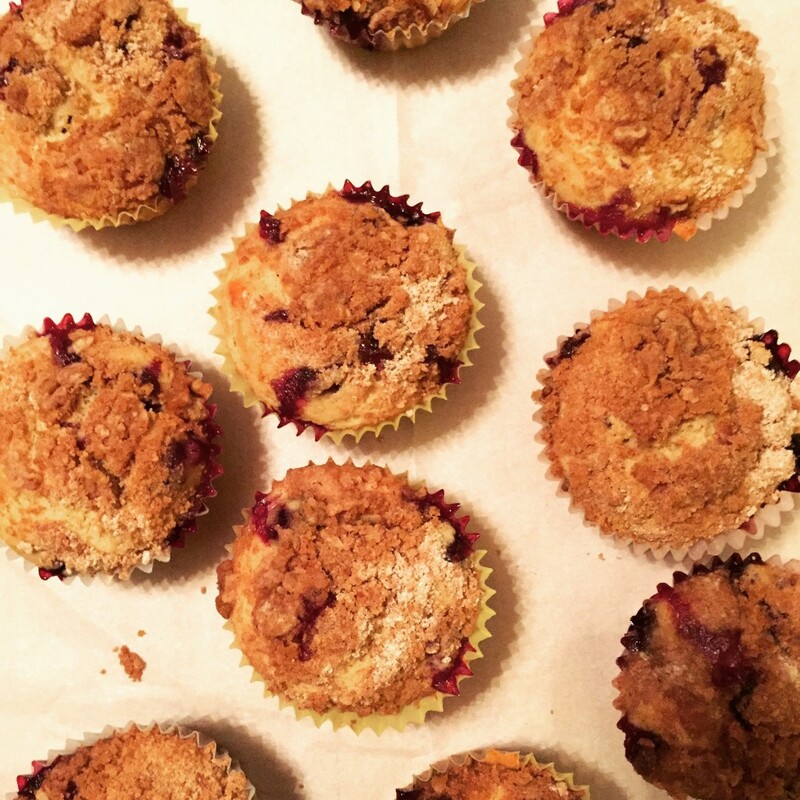 I made it home in time to make some blueberry streusel muffins! 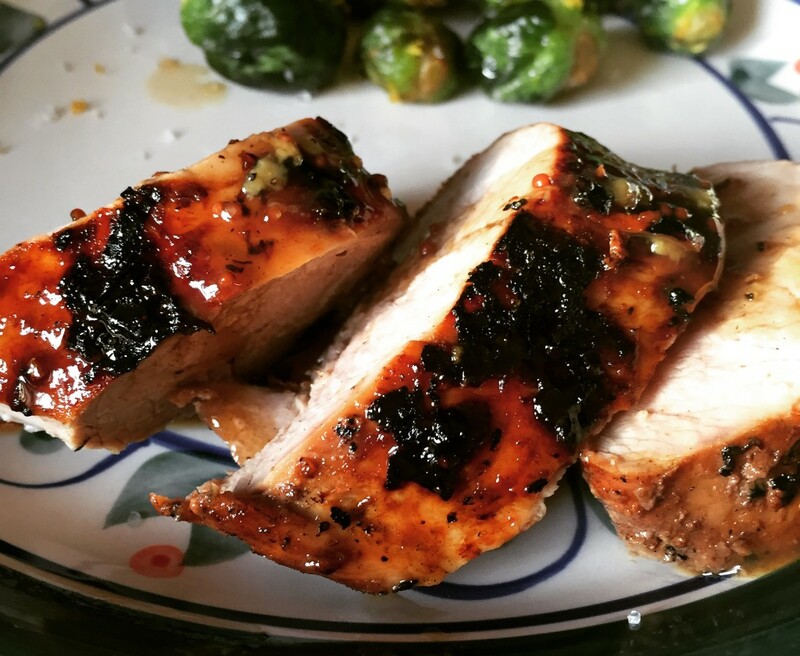 For some of my original recipes, head here on the blog. 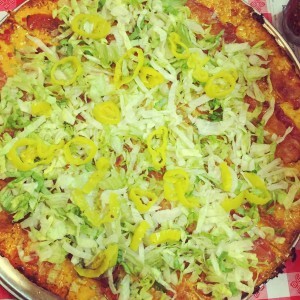 I had to close with the ideal late night snack: Mikey’s Late Night Slice pizza! 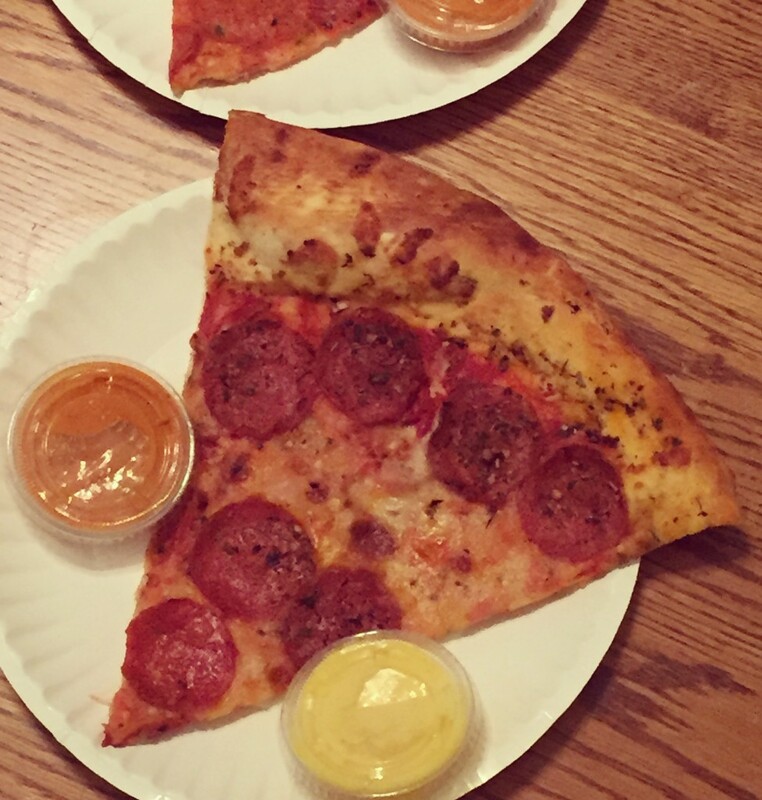 Love mixing the garlic and the sauce-that-shall-not-be-named together for dipping, and I can’t wait to try the Mikey’s + Hot Chicken Takeover pizza. To schedule an Instagram takeover of your own, head to http://www.livecbus.com/ and sign up! 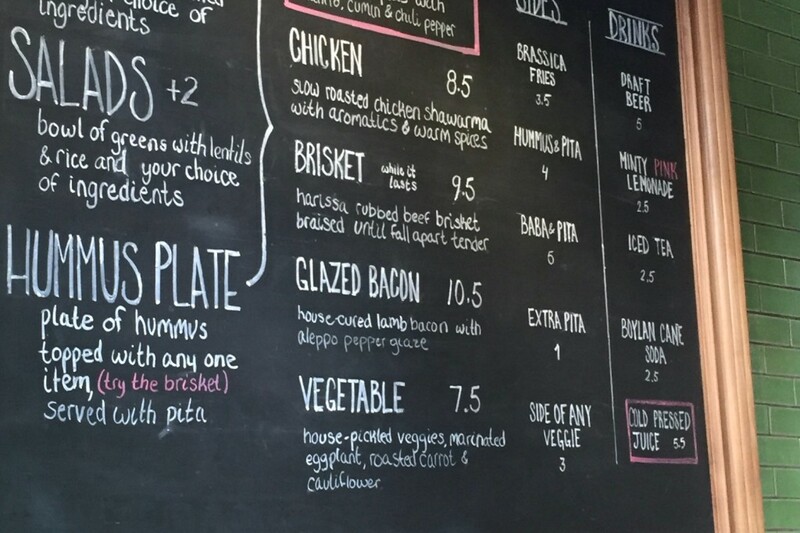 When it comes to bacon dishes, I’ve tried it all. 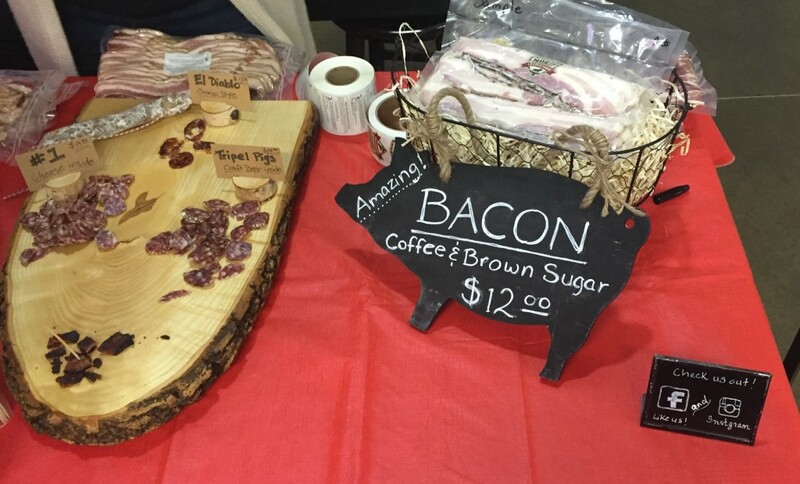 This year’s Ohio Bacon Fest at the Columbus Commons was my dream, and I sampled everything from bacon pecan pie made by The Pearl to bacon-cheddar popcorn courtesy of Pam’s North Market Popcorn. Knowing my weakness for anything bacon-related, a friend even bought me bacon dental floss once (it’s probably not approved by the American Dental Association). 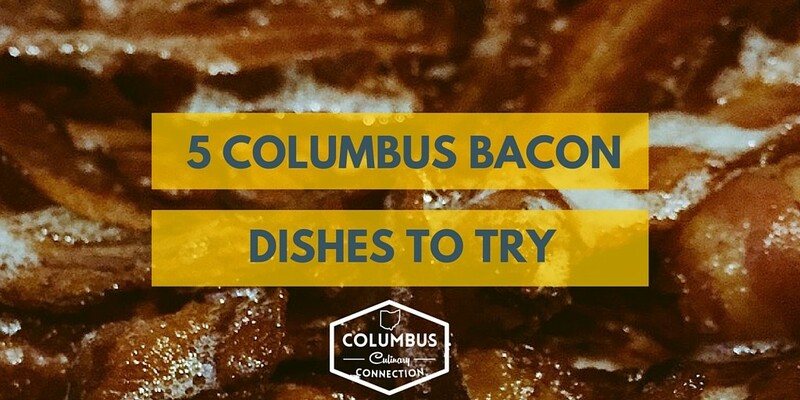 But what if you are looking for a bacon fix at one of Columbus’ local restaurants in the meantime? 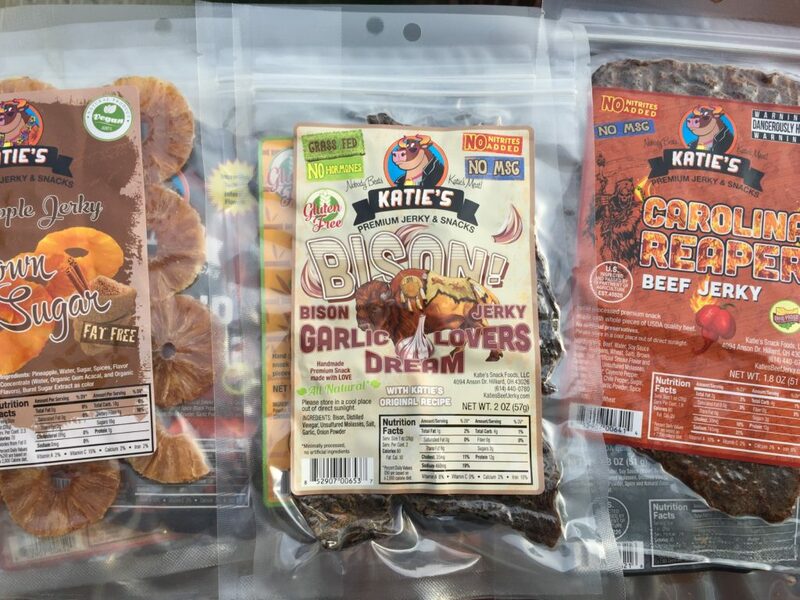 Here are some of my favorite dishes that can satisfy those cravings for meat candy any time. 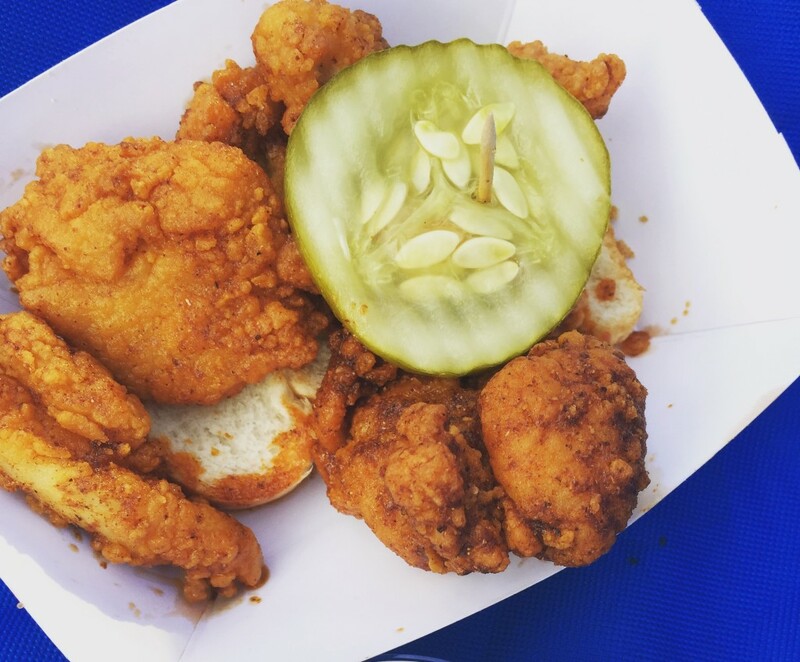 Visitors and residents alike delight in everything North Market has to offer: Katzinger’s sandwiches, Pistacia Vera macarons, cheeses, fall-off-the bone ribs, craft beer, and of course, Hot Chicken Takeover. I want every single thing, pronto. But sometimes there is so much to do and see, that is it easy to be overwhelmed by the deliciousness overload when deciding what goodies to grab for later. 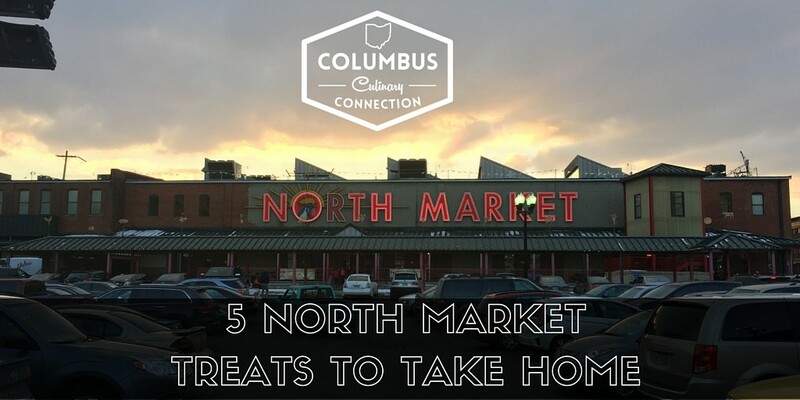 Here are 5 unique items found at North Market that are awesome to enjoy at home! North Market Spices have perfectly portioned packets of every herb and spice you could ever dream of, and a couple more to boot. One of my favs is the everything bagel mix. It’s perfect for sprinkling on steaks, grilled veggies, and (naturally) yeasty bread of any variety. 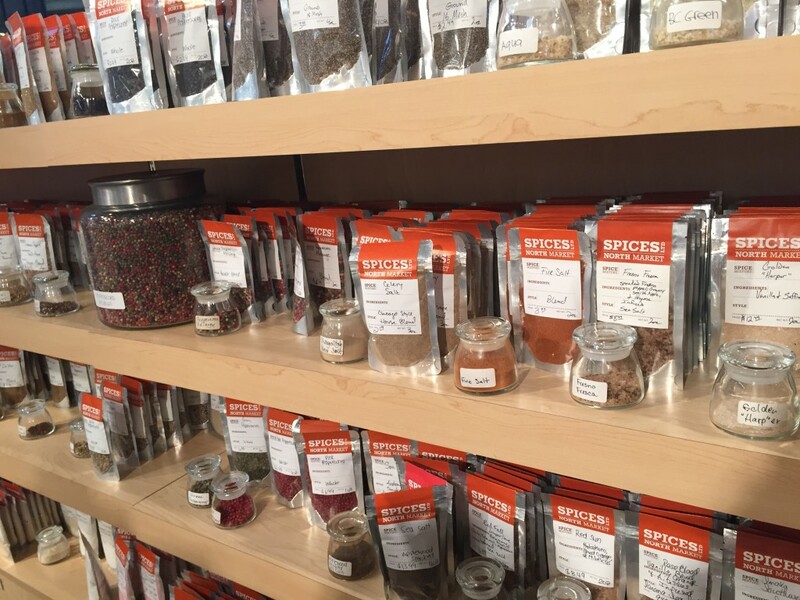 The spice gurus also sell seasoning mixes from local joints, like Katalina’s Spicy Hot Chocolate and Double Comfort’s fiery heat mix. 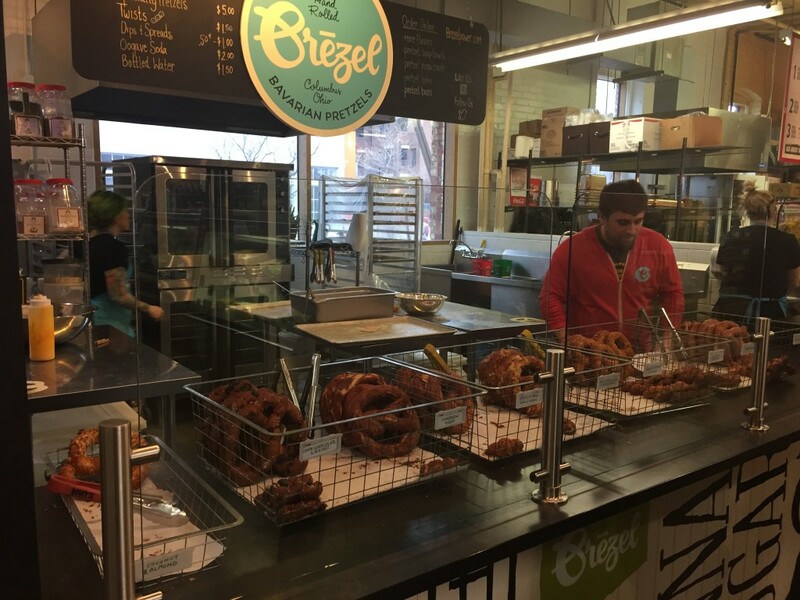 In my quest to eat all things sweet and salty, I’m lucky to have found my mecca, Brezel. The pretzel eatery offers all variety of pretzels ranging from jalapeño to French onion. They carry some frozen options as well, for you to take home and bake later. I’m loving the Chocolate Chunk and Sea Salt twists though. Chocolate is rolled into doughy, twisty goodness, partially baked, and then frozen and put in bags for your take-home enjoyment. You sprinkle on the salt after baking to keep it crunchy! I’m pretty sure I can exist on a charcuterie diet, and fortunately North Country Charcuterie has started a pop-up shop at North Market. 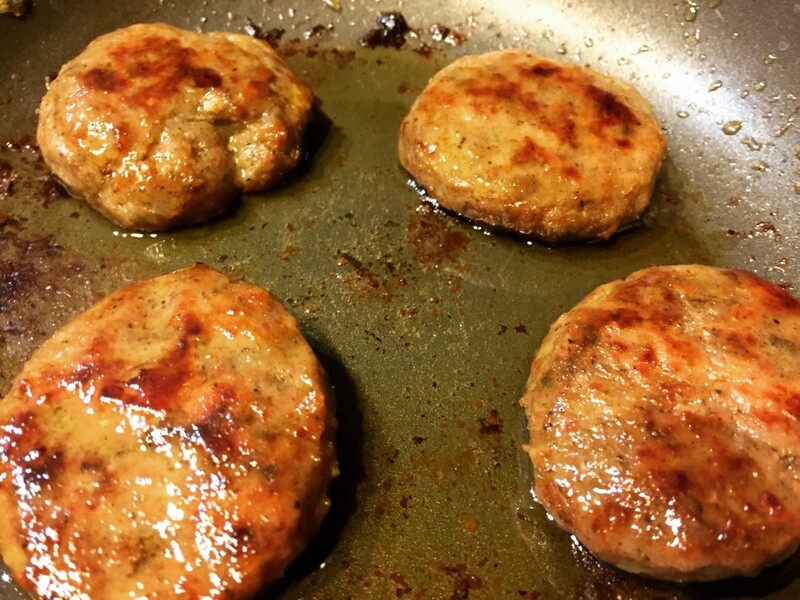 They create some scrumptious salami using Rockmill beers and Blue Jacket cheeses, and something else wonderful: coffee and brown sugar bacon. 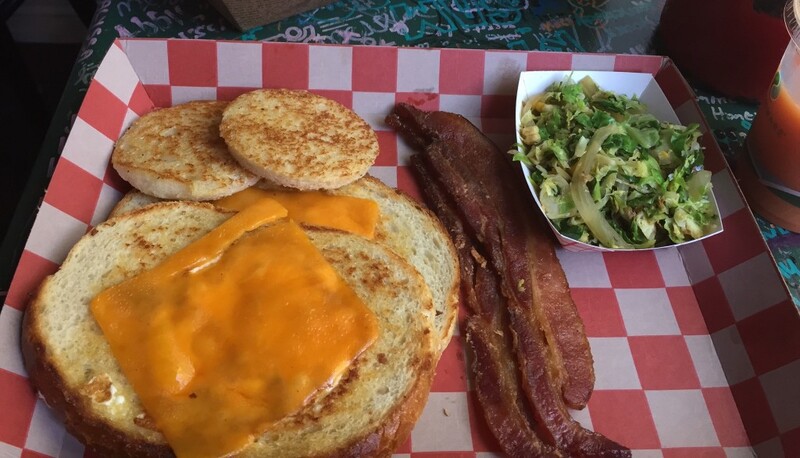 It’s everything you want at breakfast, in one tasty slice. Bake it in the oven for maximum flavor and crispiness. 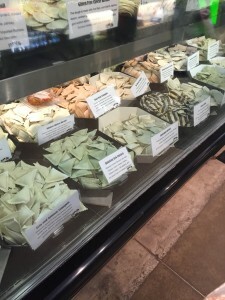 Pastaria has oodles of noodles up for sale, along with some killer sweet potato gnocchi and many sauces. 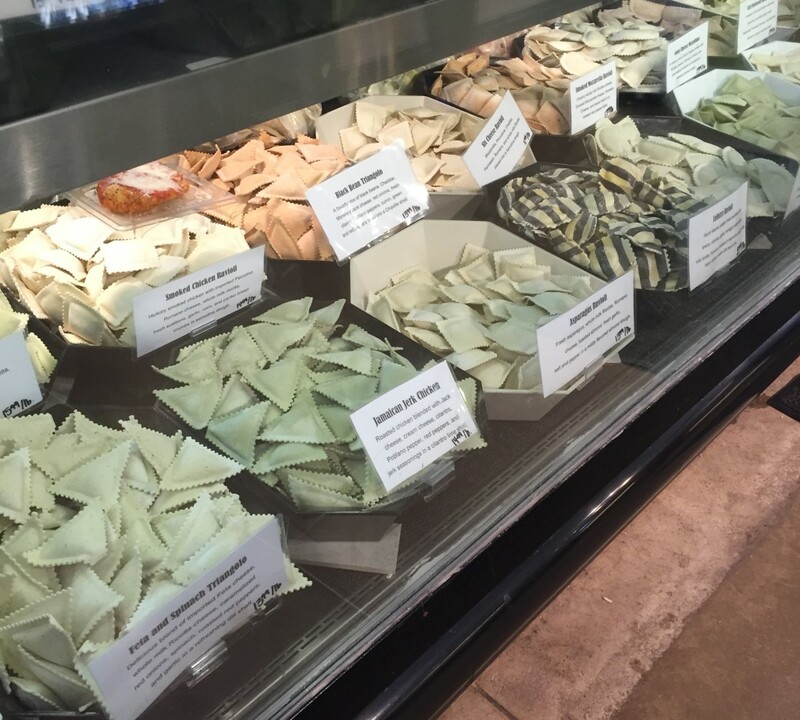 But a fun take-home choice is a pound of the Gorgonzola and Pear ravioli. All you need for an impressive entree is some boiling water and a splash of brown butter to pour over these pretty pasta parcels. My husband will try literally any hot sauce out there, so we always end up carting out some CaJohns. But they also have some fun salsa options, ranging from strawberry to pumpkin and more. A fun selection? Apple Pie Salsa! 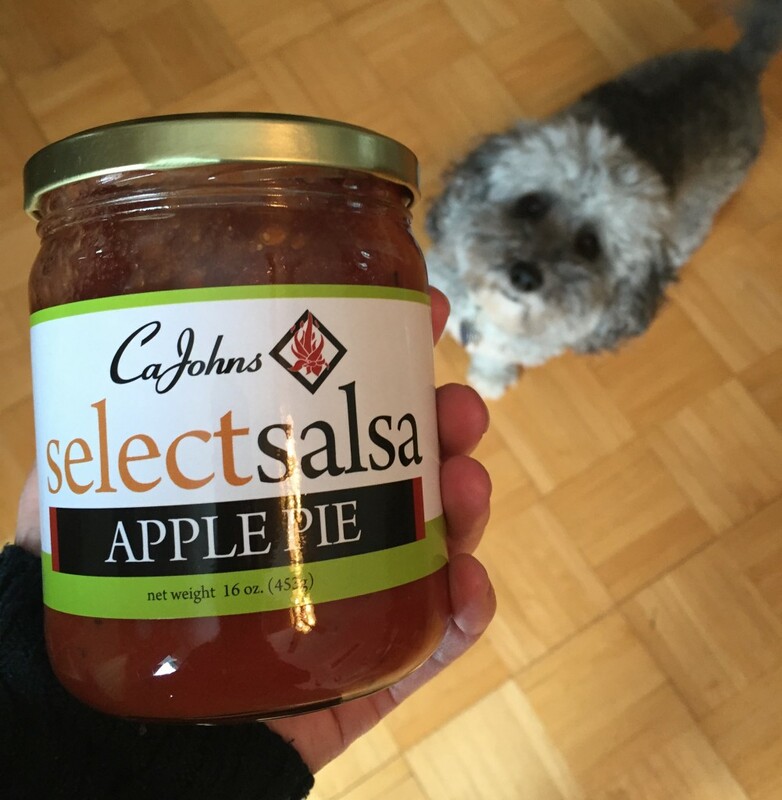 You’ve had apple pie moonshine and regular ole apple pie, but salsa? Try it! This salsa is savory and cinnamon-laden with chunks of apples. I had the first round with chips, but can’t wait to pour it over pork tenderloin. 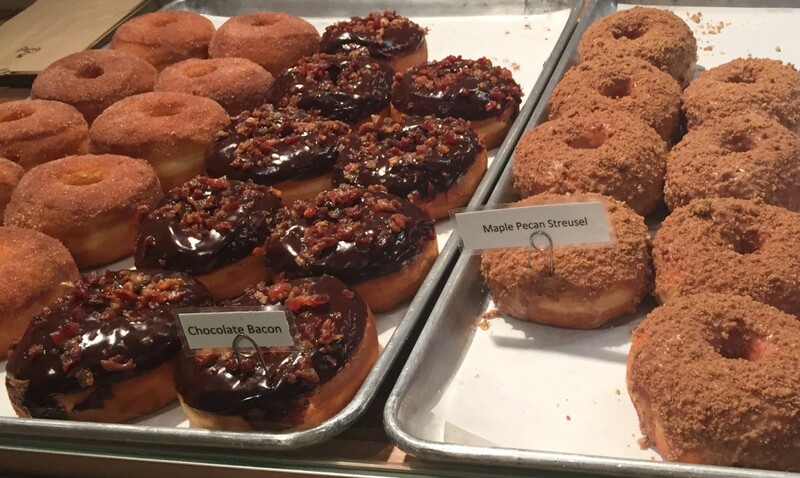 What are your favorite North Market treats? Let me know in the comments below. It’s that time of year. You know, when it starts to get so close to crunch time for holiday gifts that even online ordering will let you down. This year, save yourself a panic attack and shop local! Steer clear of gas gift cards and ties that no one wants – you can do so much better in the presents department. 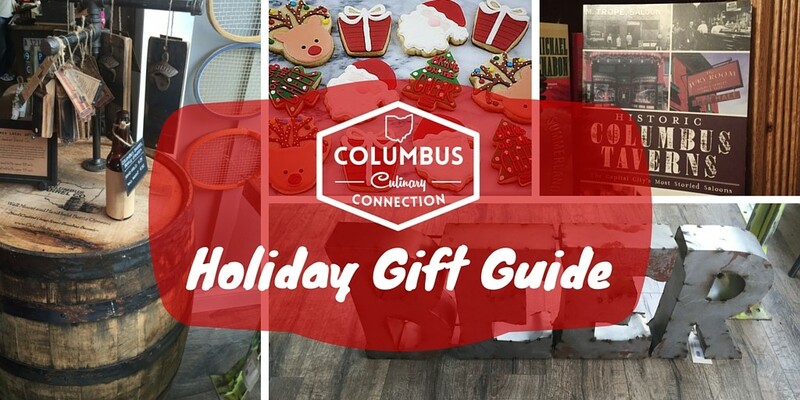 Here are some of my favorite gifts for the food and drink lover in your life; all are Columbus-centric. 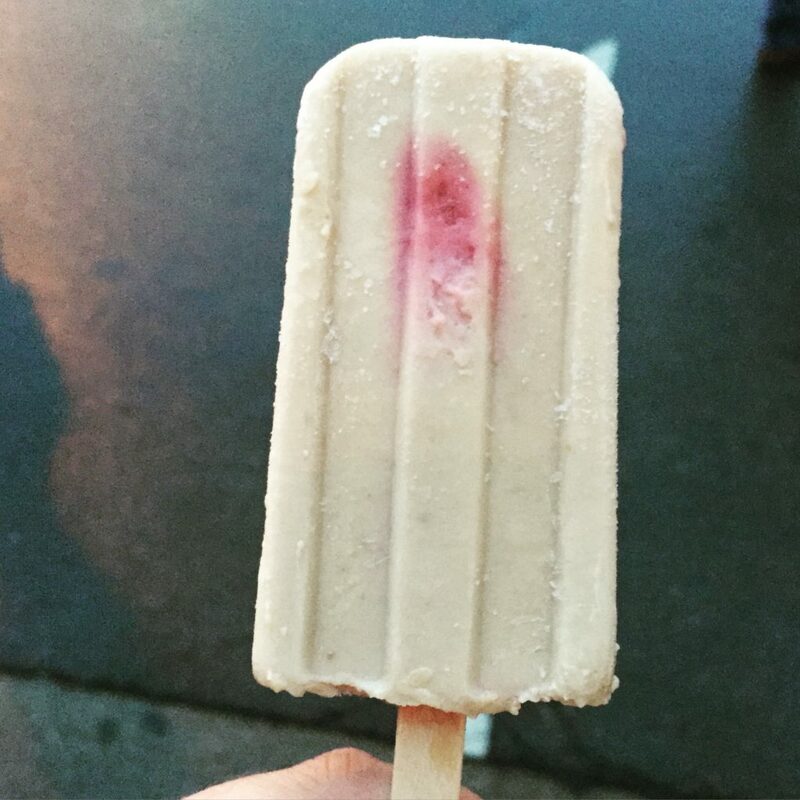 Jeni’s Spendid Ice Creams is touting one of the most craveable selections on this list: The Pint Club. Four times a year, receive three unique pints of Jeni’s, delivered right to your doorstep. What’s not to love? The North Market offers gift cards which can be redeemed at the vendor stalls within the building. There are so many good options to utilize these certificates: Pistacia Vera, Hot Chicken Takeover, or freshly rolled ravioli at Pastaria. 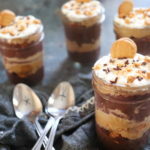 Not interested in making dessert? 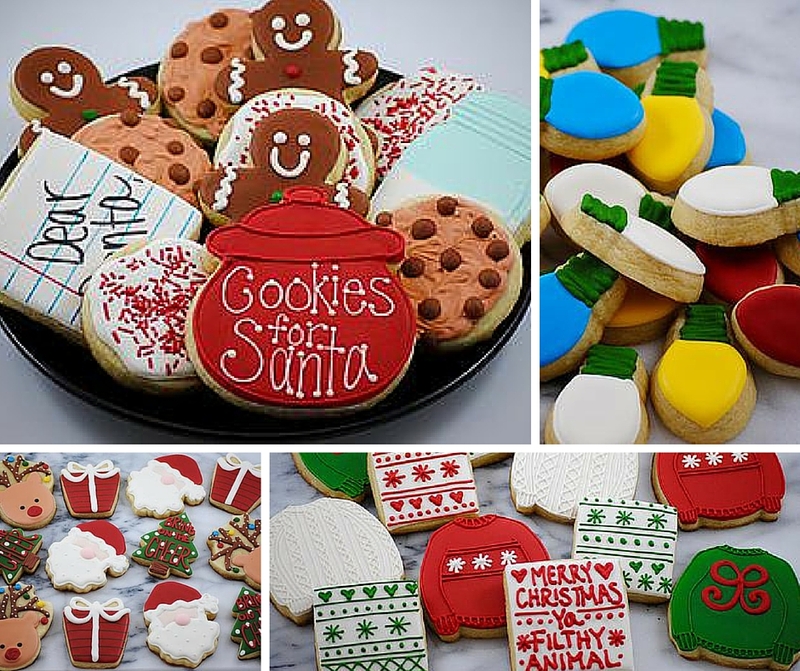 I’m obsessed with the cutout cookies from Jana Lee’s Bake Shop. Her designs are creative and will have your guests drooling. 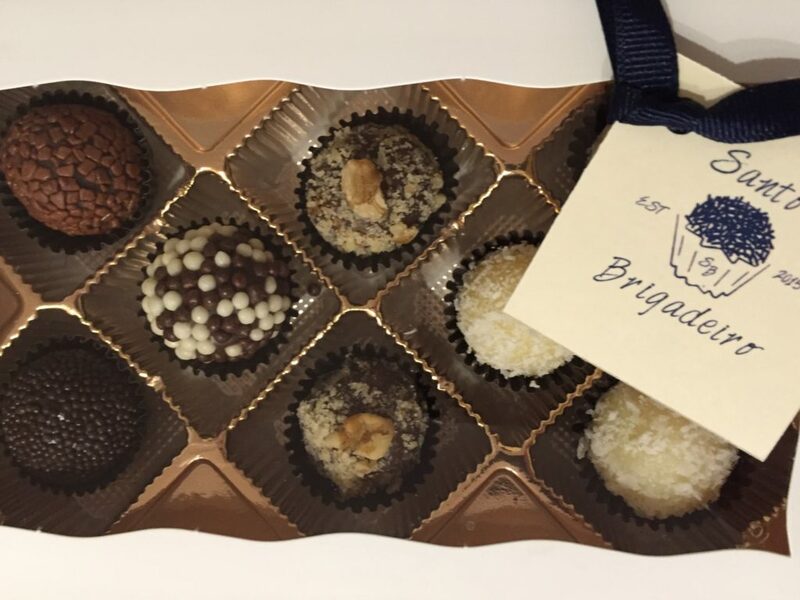 Or give a box of them to someone with a sweet tooth! Breakfast with Nick’s cozy breakfast-themed t-shirts are also a great choice for a hard-to-buy friend. Find them here. 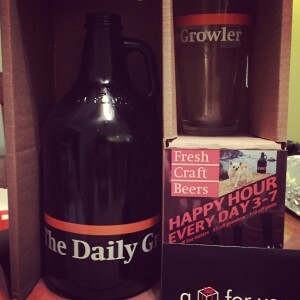 A starter kit from The Daily Growler is a perfect present for craft beer nerds. 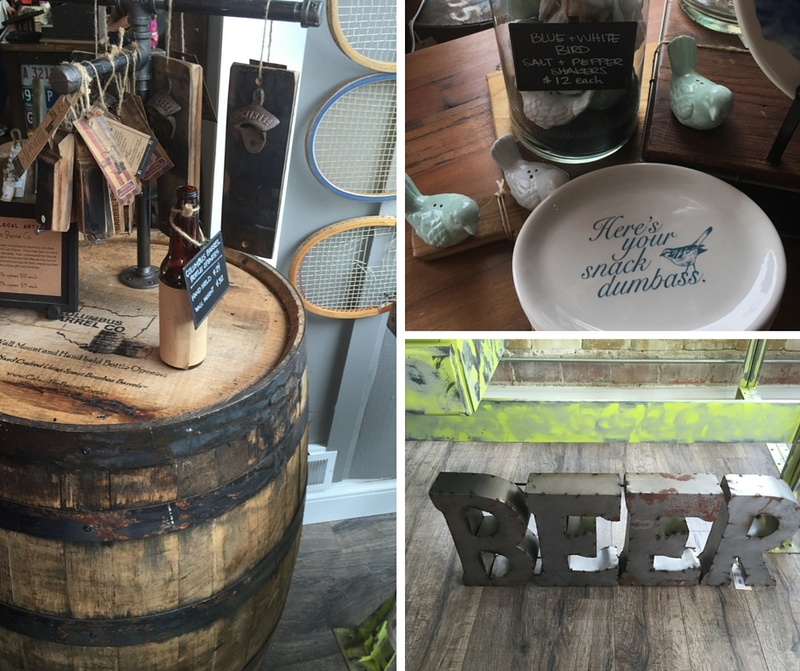 You get a growler, 2 pint glasses, and a $10 gift card to the taproom, all for $25. Giving a gift of an experience is always a good way to spend time with someone. 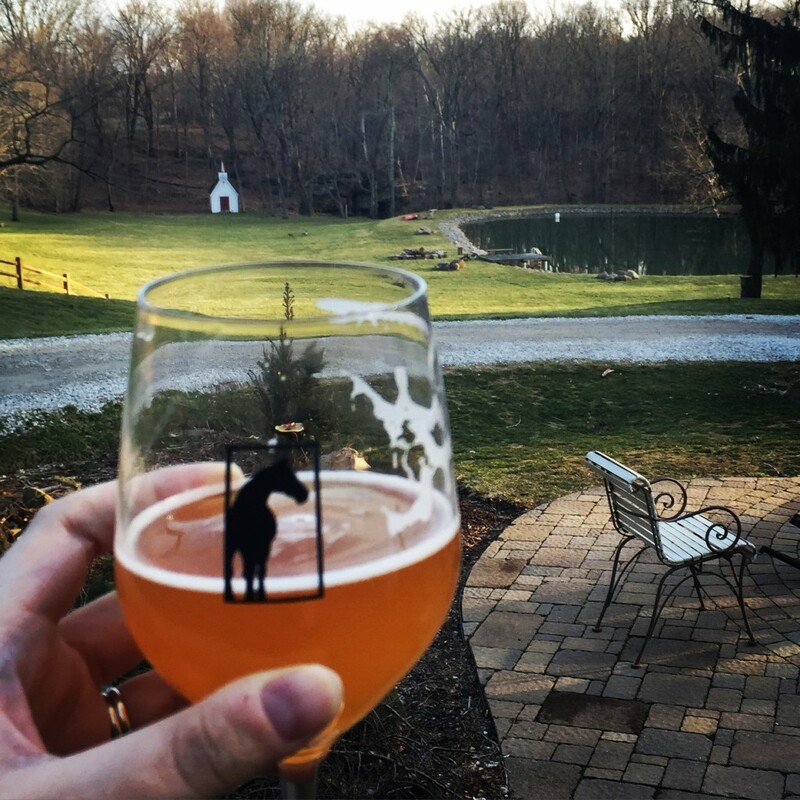 Columbus Brew Adventures tours visit multiple breweries and distilleries, transporting you around the city and providing tastings. Learn more here. 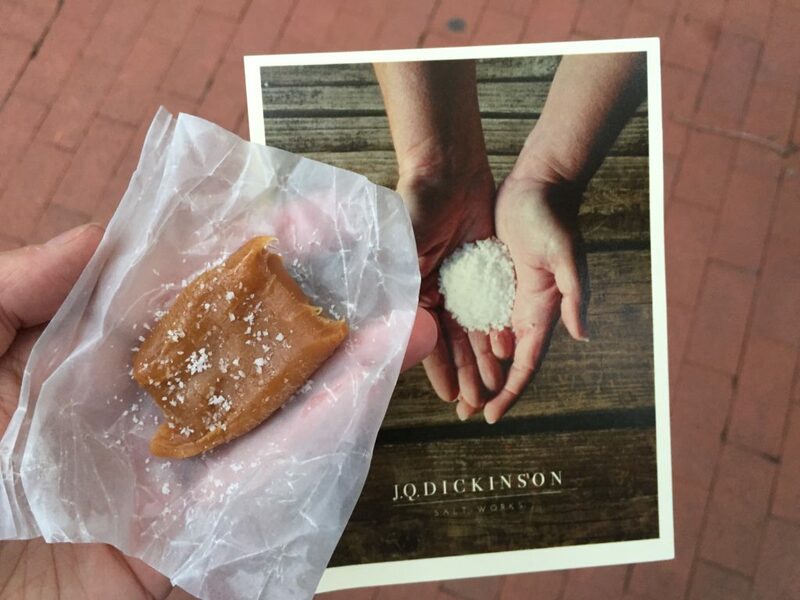 Food tours are available too, from Columbus Food Adventures. Camelot Cellars offers a Handcraft Your Own Wine Package, a tasty twist on gift-giving. 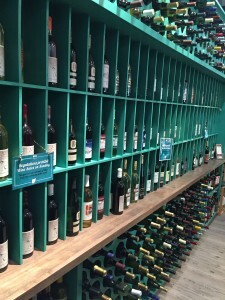 This purchase lets you create, bottle, and custom-label your own series of wine. Books are always crowd-pleasers for the reader that also loves to drink. 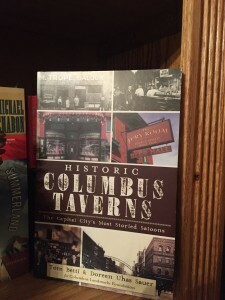 I recommend Historic Columbus Taverns, for some interesting facts about some of our town’s most beloved watering holes. 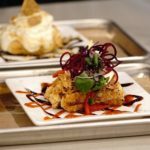 There are so many locations in Columbus to take cooking classes, places that offer lessons for novices and expert cooks alike. 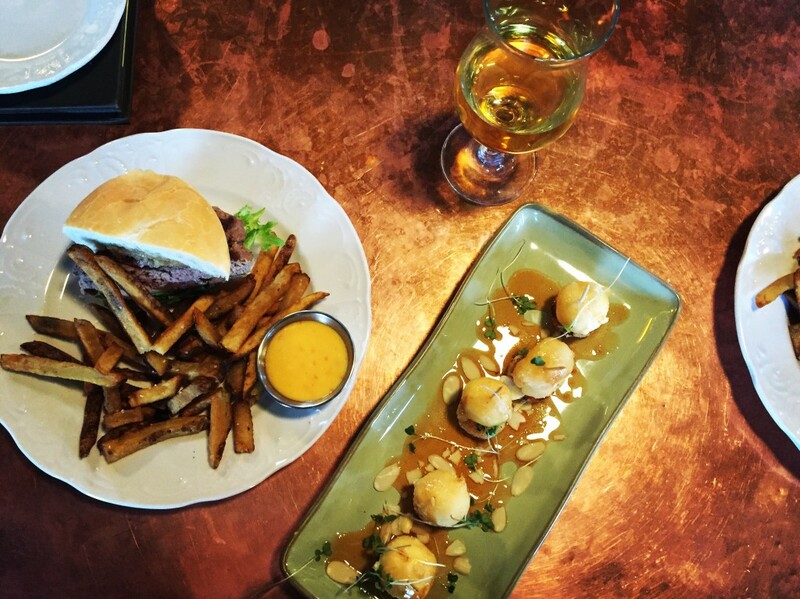 The Commissary, Shaw’s Restaurant & Inn, and Franklin Park Conservatory all have classes for every cuisine imaginable. If you have a friend that loves to play host or hostess, there are so many options for kitchen decor. 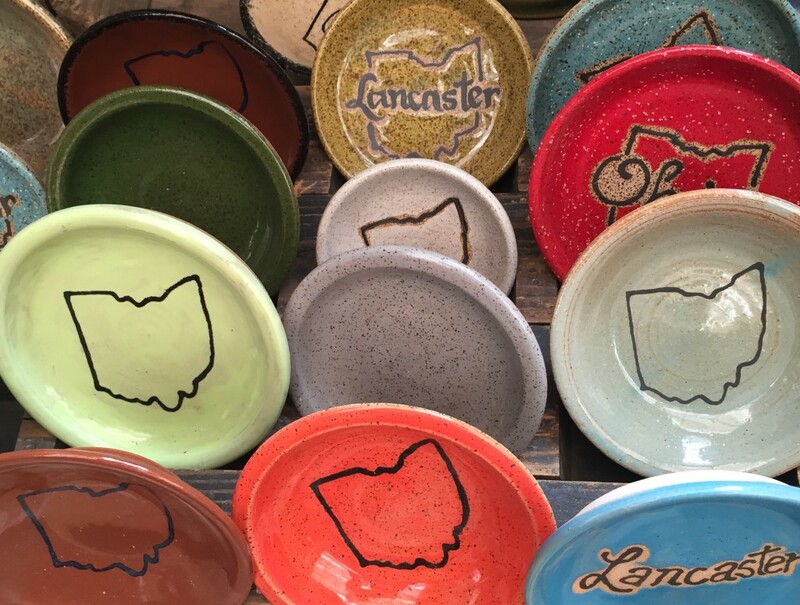 Elm + Iron has a beautiful shop in Clintonville filled with items like fun bar signs, Columbus Barrel Co. bottle openers, and these snarky plates. 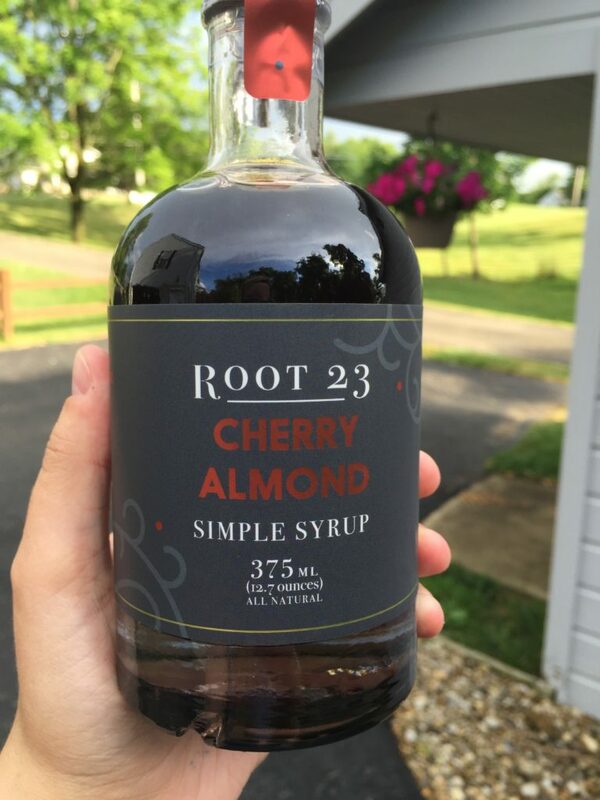 Check out Celebrate Local for wine, wooden cutting boards, and other local items like jams and syrups to add to your seasonal table. 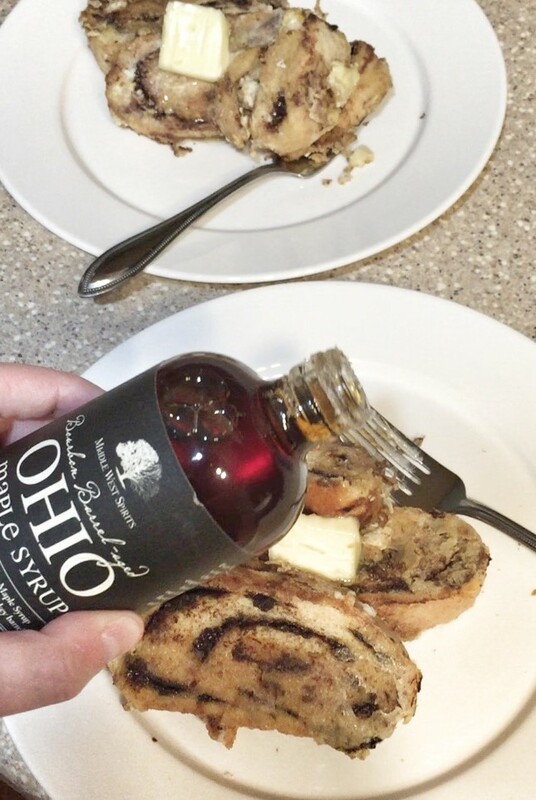 Have some ideas for local gifts for culinary-loving friends and family? Let me know in the comments below. Disclosure: In an effort to be completely transparent, the book link through Amazon is an affiliate link. I do get a small advertising commission if you buy it, but you are not charged anything extra.